Yes you read correctly, I asked Ana to marry me and she said yes. 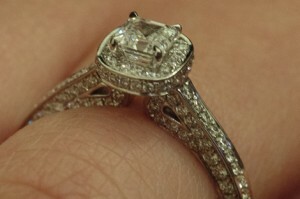 So yep, I have been engaged since June 2nd 2012. That was when Ana visited me in London and I thought it was the perfect time and place to ask her to marry me. For the people that are wondering how I proposed … well either me or Ana will most likely write an article on our wedding website (http://wedding.chen.nl). So drop in there to read up on our adventures of planning a wedding. During her visit we also experienced the Diamond Juiblee of Queen Elizabeth and visited Edinborough and Bath. Saw the musicals Les Miserables and Singing in the Rain. 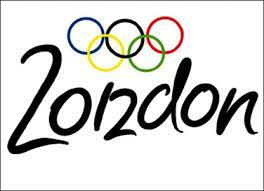 In July the London Olympic started and it was a crazy, hectic and amazing few weeks. Though sadly I didn’t have any tickets for any of the venues it was still great to see and feel the atmosphere and vibe. It felt just like when I was Beijing during the 2008 Olympics. Though I didn’t have any tickets I did manage to go to the Holland Heineken House aka HHH which was partyyyyyyy time 🙂 People have been asking me if I will be in Brazil in 2016. Well I can’t predict the future but it would be nice if I could …. and if my wife to be Ana also wants to go. The last week of August and first week of September I went on vacation to NY and Toronto. NY to visit Ana of course and to Toronto to attend a TSF wedding. 🙂 This time Suzanne and Marc got married and me and Ana along with quite a big TSF group flew over to Toronto to party and be there for that special moment. It was an amazing wedding and it was really nice to have a TSF reunion. During that vacation me and Ana also had skype interviews with 3 Dutch wedding planners. We decided to get a wedding planner to help u out for the wedding in Dutchland. Reason, saves us time and also it’s kind of hard planning a wedding in the Netherlands when I was still living in London and Ana in NY. We managed to get one, for more information click here. The fourth thing is another wedding which took place in October in Amstelveen. And before you start thinking TSF … no, this time it was a wedding from a Middle school friend of mine. I have known him since I was 14 or 15 years old. It was a nice small wedding and a great party afterwards with DJ. I am glad was able to attend their wedding as well.